There is a demand for SMS connectivity from applications that does not require the sending or receiving of large amount of SMS messages. One example is a remote monitoring system. If the remote monitoring system finds that a certain server is not responding, it will send an SMS alert to the system administrator's mobile phone. This remote monitoring system will have a very small amount of SMS traffic per month since the servers being monitored should be working fine most of the time. Since a wireless carrier usually does not provide direct SMSC or SMS gateway access to users without a large amount of SMS traffic, some companies come out to fill the gap. These companies are called SMS service providers. There is no minimal purchase requirement or monthly minimum usage requirement for many SMS service providers. SMS gateway providers -- An SMS service provider provides an SMS gateway for its users to send SMS messages to. This SMS gateway will then route the SMS messages to another SMS gateway or SMSC. 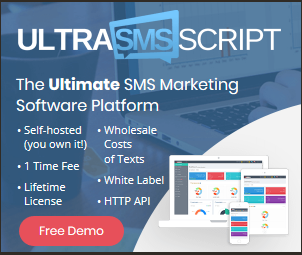 SMS resellers and SMS brokers -- SMS service providers buy a large amount of SMS messages from a lot of wireless carriers at a low price per SMS message. They then sell the SMS messages at a price higher than the cost. Unlike wireless carriers, many SMS service providers provide detail information about their SMS connectivity service on their web site. For example, you may find the cost of the service, network coverage, protocols supported, developers' guide, etc, on the web site. Thus, the service of different SMS service providers can be compared easily. If you are not happy with, say the price or network coverage of an SMS service provider, you can simply leave its web site and find another SMS service provider. Another advantage of using the SMS connectivity services of SMS service providers is that their network coverage is very good. They work hard to cover as many wireless networks as possible so as to make their services attractive. Some SMS service providers can send SMS messages not only to GSM wireless networks, but also to CDMA and TDMA wireless networks. Buy a number of credits or SMS text messages online. Many SMS service providers support credit card payment and some also support PayPal. Send SMS messages using a protocol / interface (e.g. HTTP, email, FTP) supported by the SMS service provider. Credit-based -- You purchase a number of credits from the SMS service provider's web site. Sending one SMS message will cost you one or more credits, depending on the country you send the SMS message to. For example, sending an SMS text message to India might cost you one credit while sending an SMS text message to the US might cost you two credits. SMS-based -- You purchase a number of SMS messages from the SMS service provider's web site. The cost per SMS message is the same for all destinations. For example, if you purchase ten SMS messages, you can send at most ten SMS messages no matter the destination is India or the US. The cost per SMS message sent depends on which SMS service provider you choose and how many SMS messages you purchase. It starts at around US $0.06 to US $0.07 per SMS message. The more SMS messages you purchased, the lower the cost of sending one SMS message. A comparison of some SMS service providers can be found in "SMS Gateway Providers Comparison Table". You may also want to have a look at the article "How to Choose an SMS Gateway Provider" to learn some of the things that you should consider when choosing an SMS gateway provider for your SMS application.